Home cooking may be the solution to the food challenges we face, but as busy parents how do we actually make it happen? And when we do find time to cook, how do we get our kids to eat the healthy foods we make? 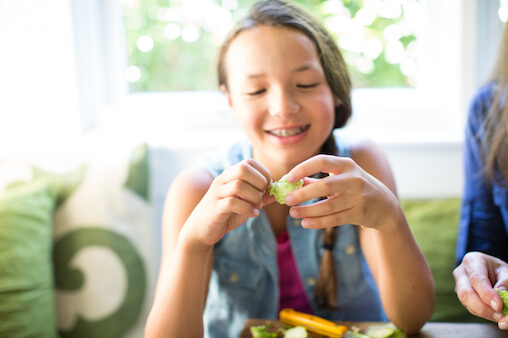 This week, in the series Getting Kids to Eat Real Food: A No Stress Guide, Jennifer Tyler Lee, author of The 52 New Foods Challenge, shares five simple solutions that will set you on the path to dramatically change the way your family eats—one new food at a time. Cooking together is the single most important key to changing the way your family eats. I know that can feel onerous as a busy parent. But what if I told you that all it takes is 30 minutes each week? That in the time you’d spend watching an episode of Modern Family, you’ll help your child build skills that are just as important as math and reading? The key is to cook with your kids, not for your kids. And to get past the mental barrier of cooking with kids, you need to reframe it. Instead of thinking of cooking as a chore, think of cooking like a craft activity. Set up your cooking project on a low kids’ table—with all of your supplies within easy reach, just like you would with crayons and paper. Focus on exploring together, rather than creating the perfect dish. Let your kids do as much of the measuring, stirring, chopping, and sautéing as you can handle: for 30 minutes. Tip: have them work over a baking sheet to help contain the mess. The more freedom you afford them, the greater the payoff. Changing your perspective when it comes to cooking together will relieve an immense amount of stress—for you and your child. And taking the stress out of family meals leaves more room to put the fun in, which is the secret ingredient to success. Cook Together: Cook up a batch of Roasted Brussels Sprouts Chips. The peeling in this recipe is great fun for kids. The crispy, crunchy chips taste like potato chips, only 500X better. You can blame me when your kids are begging for Brussels! Tune in tomorrow when I share Solution #3: Bring on the Colors! 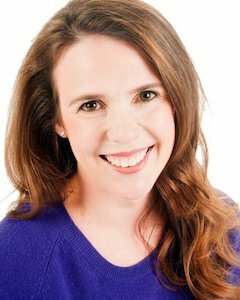 Jennifer Tyler Lee is the author of The 52 New Foods Challenge: A Family Cooking Adventure for Each Week of the Year (Penguin Random House/Avery 2014) and the creator of the award-winning series of healthy eating games, Crunch a Color®.